How many years have you coached soccer? I have coached for approximately 15 years on several different levels of club, and high school. What is your team’s best attribute entering this season? The young team with only three starting seniors is young but hungry to have a successful year. Willing to learn, practice hard and compete no matter the level of teams we play . What will your team need to improve for the season to be a success? The Centennial program has gone though a transition and currently in a rebuild year. This team is young so will have to get used to the speed and tactics of the high school varsity game. The size of the boys for some freshman has been intimidating but they are up for the challenge . Who are your team leaders? The team has team leaders selected by the team and they are Erick Salazar (12) and Raymond Villa (10). Who are the newcomers to varsity boys soccer that can make the biggest impact? We have a few freshman that will make a big impact Chris Holguin, Alex Robles and Kolby Terrones. What are some of the more anticipated games on your schedule? I think the games to really look forward to are the Ironwood game and the Sunrise Mountain game as both are rival local schools and very good programs. How many years have you coached soccer? Deer Valley 3 years . PVCC college 2 years. Club so far 5 years. What will your team need to improve for the season to be a success? Finishing opportunities , staying healthy and eligible . What are some of the more anticipated games on your schedule? Any region game . We are new to the conference so we are yet to see . What is your team’s best attribute entering this season? The experience of the team’s underclassmen and familiarity they have with each other is our best attribute. What will your team need to improve for the season to be a success? We have a lot of young players that will need to adapt to the pace of high school soccer. Many of them play club soccer and are used to playing against their own age groups. Who are your team leaders? We are fortunate to have a couple of strong seniors (Alfredo Vega, Ruben Celaya, Hassan Razzouki) and a few juniors (Jesus Chavez, Delano Blackman, Jose Sanchez, and Jesus Chavarria) that can take a leadership role on the field. 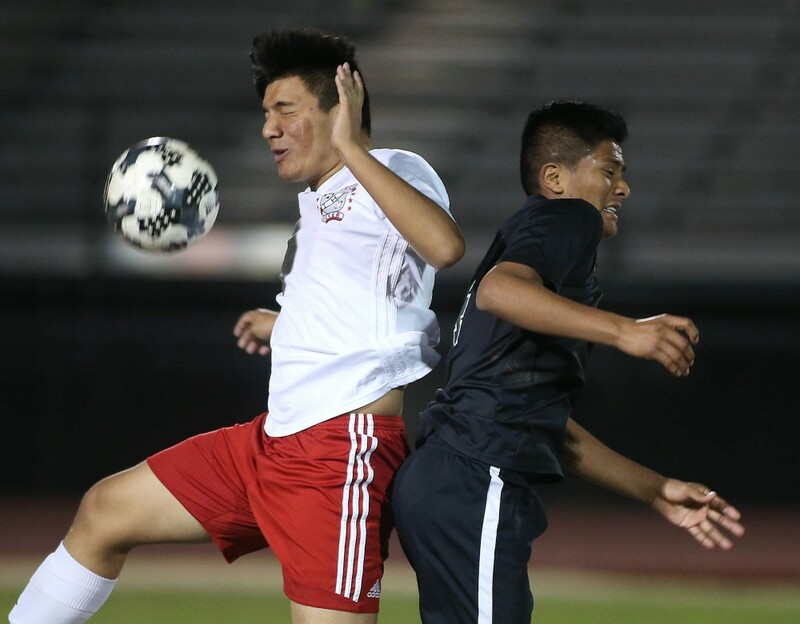 Who are the newcomers to varsity boys soccer that can make the biggest impact? Freshmen Eduardo Cruzes, Mauri Ortiz, and sophomore Ivan Medrano are vying for starting positions or will see significant playing time. What are some of the more anticipated games on your schedule? We have a new freedom game schedule and will get to play against many teams we have not seen yet. We play in a tough region so there is anticipation for our games with Washington (playoff team) and Cortez (played in championship last season) even though no game can be overlooked. What will your team need to improve for the season to be a success? Improve fitness, offensively. Who are your team leaders? Team Captains Irvin Quinonez, Mathew Holmes, Nate Guzman. Who are the newcomers to varsity boys soccer that can make the biggest impact? Newcomers to varsity include several players from an undefeated JV team (Ernesto Osornio, JP Yanez, Alex Panduro), and a couple of freshmen. Top returnees: McKinley Ruiz, Soph. F (8 goals, 3 assists); Emanuel Robles, Jr. MF (8 goals, 2 assists). How many years have you coached soccer? I have been coaching soccer for 6 years now. What is your team’s best attribute entering this season? Our team’s best attribute this season has to be our power of youth and plenty of time to learn together. What will your team need to improve for the season to be a success? Our team will need to improve on communication in order to be successful this year. Who are the newcomers to varsity boys soccer that can make the biggest impact? Our Goalie- Alfredo Perez (Senior). Our Center Back- Espoir Ntezeyombi (Jr). Both players will give this team that competitive edge to make this team a playoff contender. What is your team’s best attribute entering this season? High soccer IQ players, smart possession style players who will move ball quickly with their speed. Look for Liberty to simplify soccer moving the ball quickly and trying to counter on teams with speed all around. What will your team need to improve for the season to be a success? Team chemistry, game management, and set pieces. This is probably the most talented group we have had, now we have to gel and come together quickly to put it together on the pitch. Need to stay healthy and use our speed against teams. Who are the newcomers to varsity that can make the biggest impact? Brendan Judson, freshman midfielder/defender. The Cano brothers did not play last season. How many years have you coached soccer? Prior to beginning as the Mountain Lions’ boys soccer coach, Land was the school’s girls soccer coach. What is your team’s best attribute entering this season? Our team works hard though the entire 80 minutes of the game. Who are your team leaders? Captain is Kristian Bielicki. Who are newcomers to the varsity squad who could make an impact? Travis Warriner is back playing up top for us after a year off. What will your team need to improve for the season to be a success? Need to create goal scoring opportunities. What are the primary goals for this year’s team? Our goal is a winning season and we need to go after every opportunity of that. How many years have you coached soccer? I have been at NCS for 14 years. What is your team’s best attribute entering this season? They like to have fun. They all get along and have lots of laughs together. What will your team need to improve for the season to be a success? We will need to improve every game with changes in formations and style of play. We will be able to adjust on the fly. Who are your team leaders? We have asked everyone on the team to be leaders. From the JV to Varsity its not limited to just a few or just the captains. We try to be clear that all these guys need to be leaders not just on the field but it has to move into their campus and family lives as well. Who are the newcomers to varsity boys soccer that can make the biggest impact? We have a couple new guys that will help out. We will rely heavily on everyone on the roster to make some kind of impact wherever we use them. Some guys that are injured that will be good soon that we will look to as well. What are some of the more anticipated games on your schedule? Coronado will be a tough game. Odyssey is always a good one. What is your team’s best attribute entering this season? Thirteen of the boys on the team have been together for all four years. The team is very bonded and connected which allows us to really play as a unit. What will your team need to improve for the season to be a success? Being consistent and keeping a good mentality. As we are playing at such a high level and have high goals we are hoping to reach this season, the boys will need to keep their heads up and play each game with a good, motivated mindset. We can’t get down on the little things or mistakes we make. Who are your team leaders? Andy Robertson and Kieron Hossain are the team captains this year. Both are seniors and have been on the program since freshman year. Who are the newcomers to varsity that can make the biggest impact? This year we picked up a very talented freshman, Cayden Geffre. He is a very humble player, works hard and knows the game. What are some of the more anticipated games on your schedule? Ironwood has a great soccer program. That game will decide who wins the section, very important. How many years have you coached soccer?I’ve been coaching soccer for roughly 10 years now, that’s high school and competitive club soccer. Leading young men to compete at there maximum potential and being successful on and off the field is what I thrive on the most. work ethic, team work and commitment to progress as a team and individuals. What is your team’s best attribute entering this season? 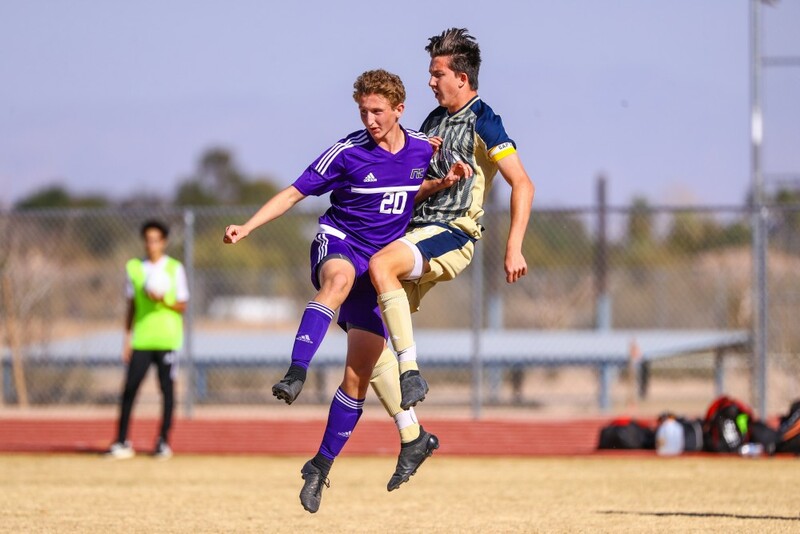 Coming off a 0-12 season is plenty of motivation to get things turned around and so far we’re off to a great start, earning a win in the Agua Fria Invitational Soccer tournament this year competing against higher ranked teams. What will your team need to improve for the season to be a success? As there new coach I strongly believe changing the culture of the boys soccer program here at Willow Canyon is vital to getting things turned around. The manner in which we approach the off season, training sessions, player evaluation and general attitude circulating the game will pay off. Who are your team leaders? Honestly every member of the boys varsity team/ boys soccer program is invested and have taken accountability for the improvement of this program. They have all stepped up to be leaders in one way or another but the two which have really put forth the effort and stood out as leaders are my two senior captains, Pedro Lara and Braylon Boysun. They have gone above and beyond to ensure this year is a successful season, they are first to show up and last to leave always. Who are the newcomers to varsity that can make the biggest impact? Freshmen newcomer and the only freshman to make varsity this year is Shayden St. John. In just three games already he has scored 2 goals, both which were instrumental and lead us to our first victory of the season..
What are some of the more anticipated games on your schedule? We are really gearing up to compete and play well in all our 5A Regional and 5A Northwest Conf games, they’re are all important games to us and we are preparing to play a full 80 minutes of quality, highly competitive soccer. We will go into every match expecting to win.